Advancements in computing, communication, and sensing technology are making it possible to embed tiny wireless sensors in our homes and yards, our shoes and clothing, and even our toothbrushes and utensils. This futuristic vision of tiny, networked sensors streaming information about the world around us was once relegated to the pages of science fiction. Today, it’s emerging as the next Internet frontier. 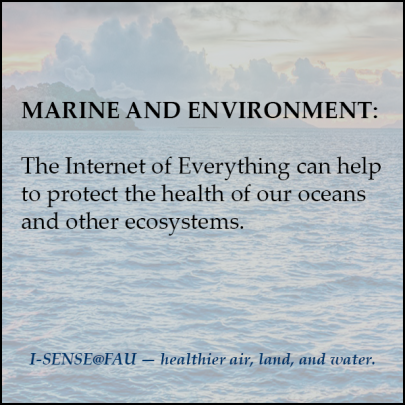 It’s called the “Internet of Things,” or the “Internet of Everything,” and it’s a powerful foundation for tackling some of society’s most pressing challenges, from safeguarding our water systems and agricultural resources, to managing our growing cities, to supporting our health and wellness. Tiny sensors, tiny computers, and tiny radios are poised to have a huge impact. 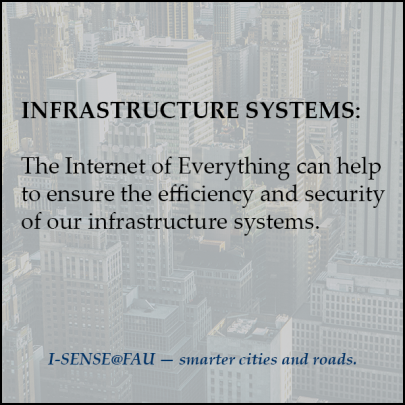 The Internet of Everything is changing the world around us and opening doors to a brighter future. We’re building that future at Florida Atlantic University. For information on the following event select an entry's title or contact MaryJo Jackson. The Geochemical Sensing Lab and I-SENSE are looking for a motivated student to join their group to work on a project focusing on developing technology to measure fluxes of iron, nutrients, and carbon across the sediment-water interface. The Institute for Sensing and Imbedded Network Systems Engineering is looking for an undergraduate computer science researcher to join a team looking to build a museum exhibit for the South Florida Science Center. The Institute for Sensing and Imbedded Network Systems Engineering is looking for an undergraduate electrical engineer researcher to join a team looking to build a museum exhibit for the South Florida Science Center. Applicants are invited to apply for funded graduate student assistantships working with the Smart and Livable Cities Group at I-SENSE and CEGE. The Geochemistry and Geochemical Sensing Lab is seeking a geochemist interested in redox cycling in metal, nutrient, and sulfide cycling in sedimentary environments. The Geochemistry and Geochemical Sensing Lab is seeking an undergraduate student researcher with a strong interest in processing environmental data. 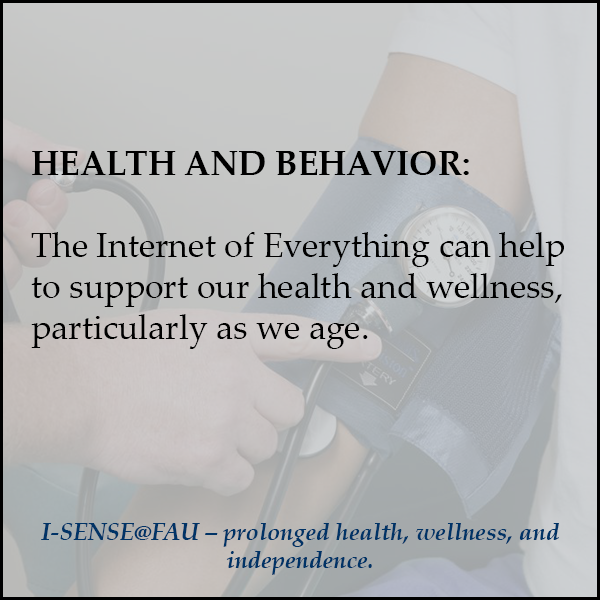 Subscribe to the I-SENSE newsletter! I-SENSE- a brighter future. Let’s build it together.